Who would not want to walk through their future home even before its construction be done? How about being able to offer it to your customers and increase the sales potential of your enterprise? 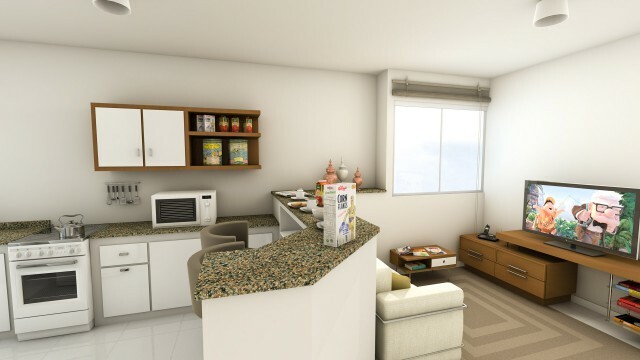 With the use of virtual reality the real-time interactive visit the 3D apartment is possible, with costs well below the physical construction of a model apartment, meeting the highest standards of exigency and quality. Be in launching the project, at sales stands or in customer’s personal computers, the virtual property can be visited externally or internally. Fully controllable, the unique software containing the simulation of the building allows fully interactive walk to the all environments, obeying simple keyboard and mouse commands or even of video game lever. With increasing search for a new property, sales offers still in plant also increased and the market has become fierce. To differentiate yourself and delight your customers, construction companies are investing in new proposals, and the technology comes to their aid. The interactive virtual tour, plus a great benefit to the customer is an attractive marketing and makes it possible to dispense the costly and expensive building of model apartments. The 3D technology brings new horizons for the construction market, a new age that combines art, transparency, marketing and allows the client to live and experience the future before its financial commitment.